Price and I recently went on vacation in Charlotte, North Carolina. We had a fantastic time visiting the Queen City. 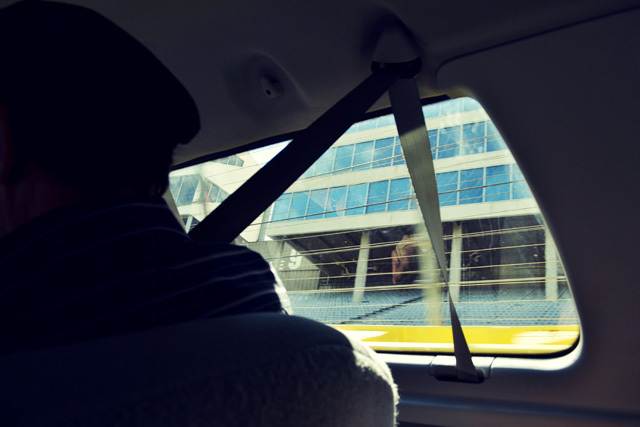 I will do a series of blog posts recapping some of the fun things we did while down there. I hope you enjoy! 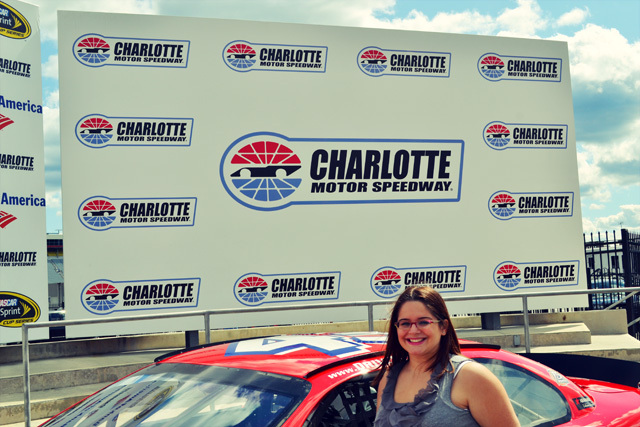 While we were visiting Charlotte, we decided to head over to The Charlotte Motor Speedway. 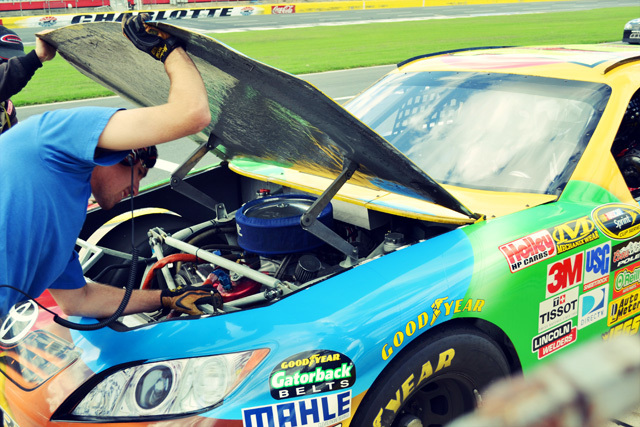 The speedway is located in Concord, NC, which is not that far from the city of Charlotte. 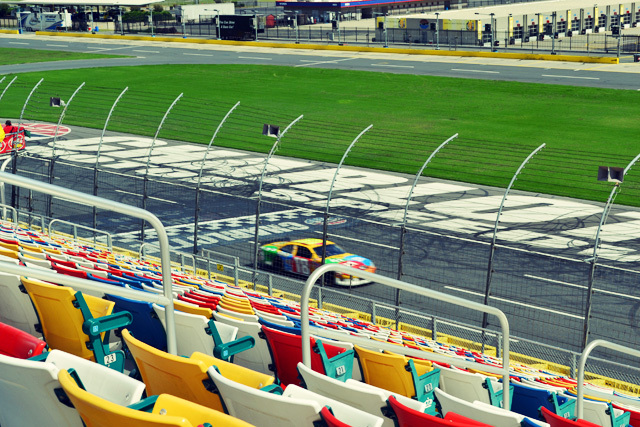 A quick ride on I-85 and we were there to check out the track and the gift shop. I was really under dressed for the day since it was a lot cooler than I anticipated. 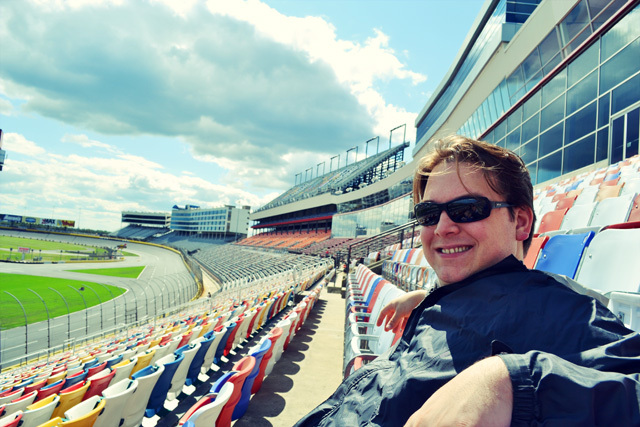 The wind was pretty strong so we only hung around on the grandstands for the bit. 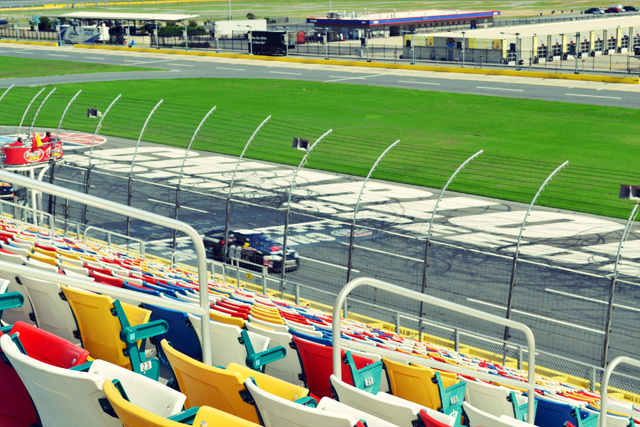 We watched one of the many race schools/driving experiences that are offered at the speedway. Check out the angle in the photo! 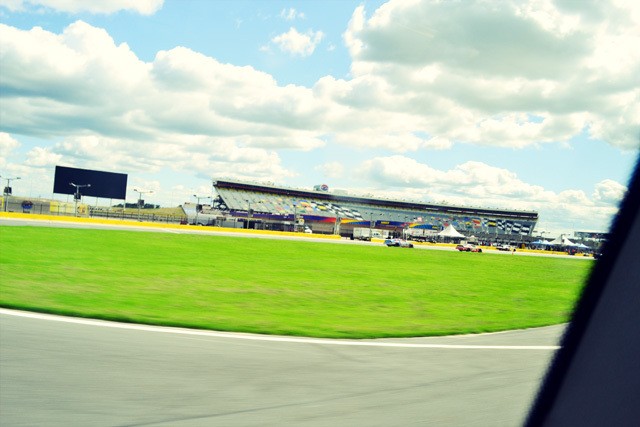 We took a video while we were going around the track! 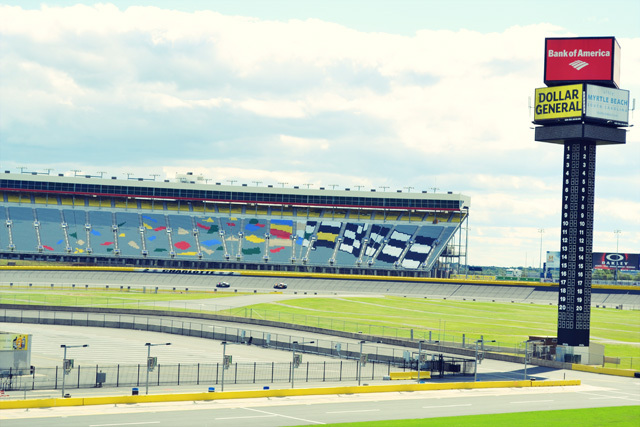 While going around the speedway and the track we learned history of the speedway, starting with when it was built in 1959 by O. Bruton Smith and Curtis Turner. 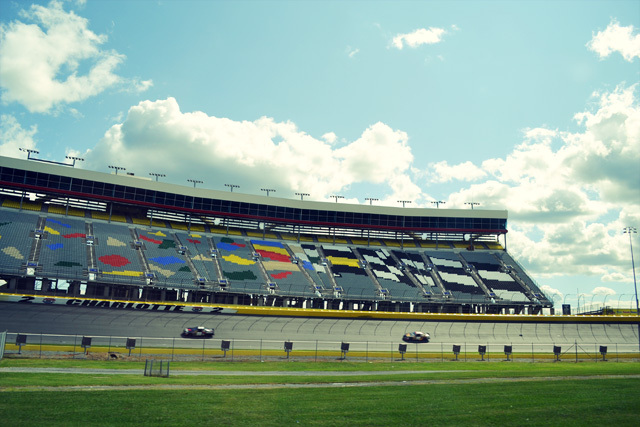 From there the track has had an interesting history as it has hosted countless races at its track and been the setting for movies, including Talladega Nights. 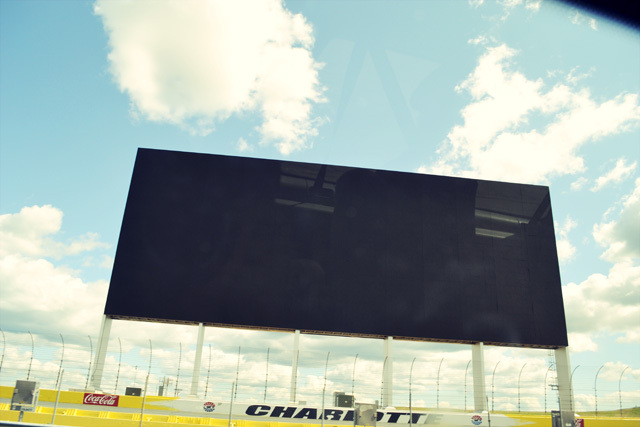 The tour guide explained how the world’s largest high definition television debuted during the May race at the track. The 32-and-a-half-ton TV is 200 foot-wide, 80 foot-tall and created by Panasonic. The face of the TV is made of 158 and is illuminated by nine million LED lamps. Pretty impressive! 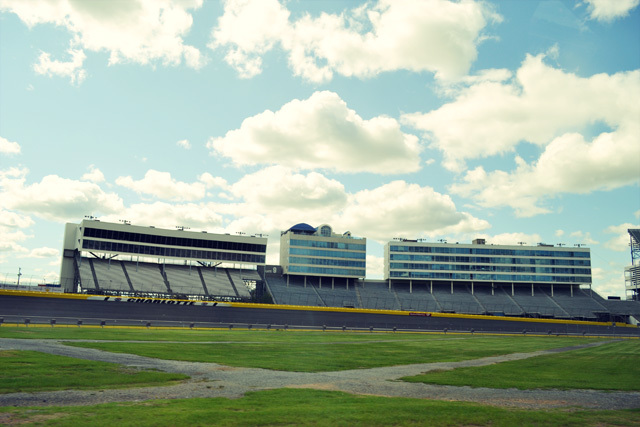 One of the really cool things we learned was that there are condos at the track. People thought it was foolish for Smith to build forty condos over turn 1 in 1984. However, they were so popular that another 12 luxury ones were built in 1991. Over the years there have been families that lived there and as a result school buses would have to stop at the track to pick up the kids. 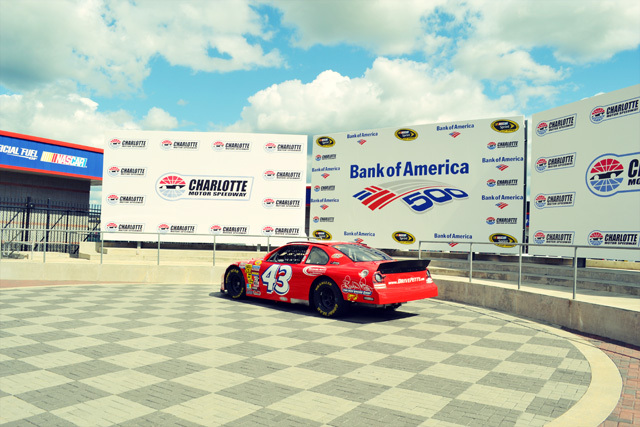 The tour took a stop at the Winner’s Circle for some photos. 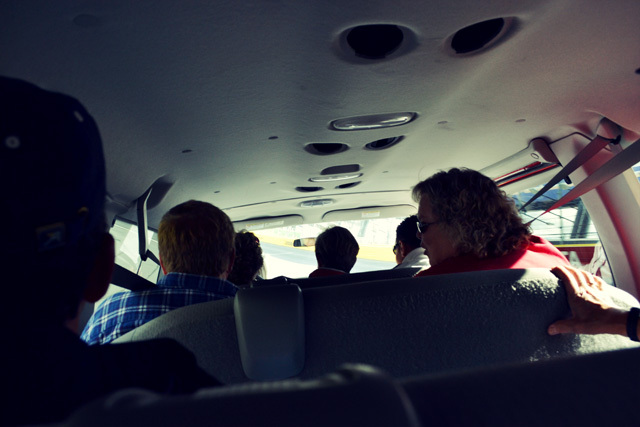 We had a great time at the tour. 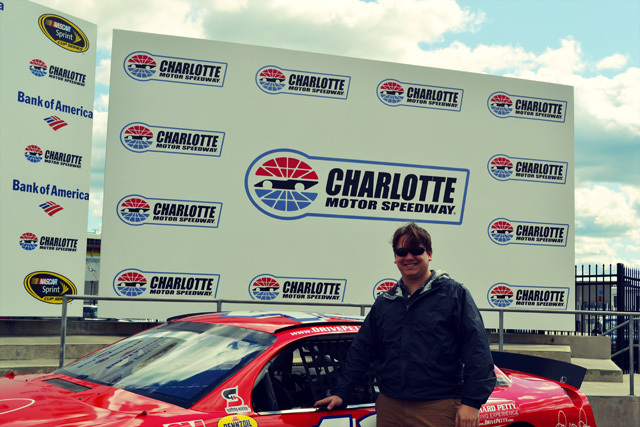 It was a fun way of learning about the race track and the history behind it. And of course I had to go back and watch clips of Talladega Nights to see the track in it. ha! 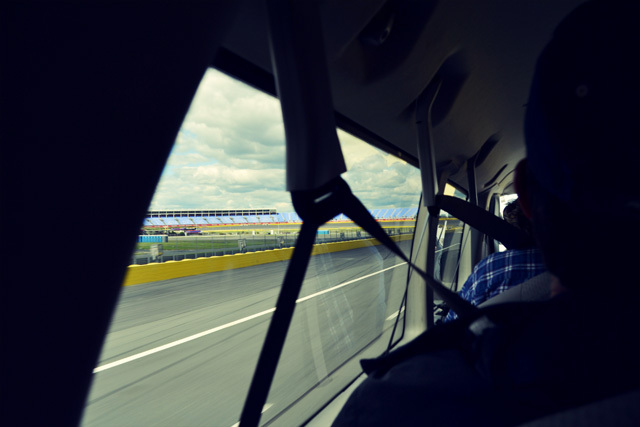 If you like NASCAR and are in the Charlotte area I suggest you swing by the Charlotte Motor Speedway so you can have a quick tour of the track to learn some cool facts about the track while you take a spin around in a van. You won’t soon forget those 24 degree turns!